Gen Emirates | The qualified partner to sell, produce or develop your business in the Emirates. Gen EMIRATES is a “navigator” designed to lead entrepreneurs in a competitive and very complex arena; this allows to accelerate market penetration as outlines the optimal routes for the development in the EMIRATES. territory. Gen EMIRATES is a “one stop source” company as it offers the full range of services to companies who wish to start a commercial branch, set up a production site or simply sell in the UAE. Gen EMIRATES has both Europeans and Emiratess professionals , that live and work in both both continents; they provide support at all stages of development with expertise in various business functions. consultants have a well defined specialization: market analysis, administration, marketing, logistics, sales, etc; This allows them to have skills in all business functions. in the UAE, the staff supports compagnie on the territory ; local staff ensures a direct presence and provides legal services, administrative and logistics. Emirati, entrepreneur, investor, business owner, and successful “trait d’union” between companies and Government Institution. He is been developing the family activity of business services started by his father in 1971. Since he entered in the company Dubai has changed widely and Shahab has been pivotal in the development of the family venture providing various specialized services from company formation, business setup, bookkeeping, legal services as well as recruitment services. Today he is a member of the “Sheikh Mohammed Bin Rashid Young Entrepreneur program” and offers services to companies associated with the main Institution: Dubai Economic Department, Dubai Court, Ministry of Labor, Dubai Health Authority, Emirates Identity Authority, and Dubai Naturalisation & Residency Department. Italian, previously working in the University sector in Italy where he created the orienting section. Studies in Political Science and specialized in Ngo operation in crises zone. In Dubai since 2007 is an expert of start-up and company formation for new venture in United Arab Emirates. He has been consulting several companies as business and marketing planning, financial controller, business development, and administrative organization. His insight view of the market are the results of a large network he has been able to create since 2007. Nicola is a lawyer with decades of experience, registered in the Registers of lawyers in New York and Montreal. It has been the General Counsel of leading companies (BASF Corporation, Montedison and finally Parmalat), where he has worked on corporate matters, financial, relationships with supervisory authority, bankruptcy and related litigation (including class actions). He lived over 25 years in the United States and is the author of numerous books and publications in Italian, English and German. Vittorio has been Chairman and Member of the Executive Council of Associations and Federations Italian and European manufacturers of capital equipment for the performance of industry and manufacturing processes. Mauro manages the analysis and business development directly with companies and / or trade associations and business networks; defines and shares with the Headquarters of client companies business plans and operational activities to be implemented in the UAE. Mauro has many years of experience in marketing / business for Italian and multinational companies, including Vodafone and Hutchison Whampoa; he has a degree in Economics from the University of Pisa and a Masters in Business Administration at the SAA-Management School of the University of Turin. Trusted Advisor in Information Management Solutions with experience in Internationalization , and specifically for Sales Operations Infrastructures ( direct and via Channels). Has developed business plans and actions with strategic and tactical alliances with End Users and Pro Active Partners to deliver qualitative and quantitative Return of Investment Value , in local and international landscapes. In Gen EMIRATES Cosimo has the role of business projects advisor to propose specific and innovative solutions to create value in processes of End User and Vendors . Member of ALDAI council work group to support Internationalizations and Innovation . Adriano is an expert in logistics and supply chain management in particular in the production and distribution of beverages; He has worked on the design / optimization of the logistics network of a major multinational with the aim of maximizing the service while minimizing costs associated with it. Adriano has a decade of experience in managing complex projects working for International Team. He has a degree in Electronic Engineering from the University of Bologna. Davide has over than 20 years of experience acting for several Italian Banks (domestic – Banca Popolare di Milano) and foreign (District Manager – Citibank). Yuri is a B2B insurance business development consultant delivering professional services to international insurance providers interested to expand in the Italian insurance market. He has a comprehensive knowledge of the insurance industry, and solid and profitable business relationship with main Italian insurance intermediaries and with key industry leaders and influencers; he operates in Dublin and Milan; Yuri has a degree in Business administration. The UAE economy is very solid, thanks to oil revenues and an economic policy of diversification of investments to decrease the percentage of revenues from the sale of oil and gas than the annual GDP. The market still has a high concentration of HNWIs (High Net World Individual) and a fairly high tourist flow. Dubai has more than 10 million tourists a year and the main airport, Dubai International Airport, recorded in 2014 over 70 million transits with an economic impact for the city of more than 26 billion dollars. The UAE currency, the Dirham, is secure and can be freely converted to a fixed rate versus the US dollar; there are no restrictions on profit transfer or capital repatriation; low tax rate applied to imports (about 5% for almost all goods) and no taxes are requested for items imported in the free zones. In addition, the financial risk is minimal (credit rating Aa3 by Moody’s). These factors, combined with a strategic location, excellent infrastructures and and a great and pleasant enviroenment, stable and safe, help to encourage investment. Not surprisingly, the UAE are among the Middle Easter and GCC countries considered most attractive for foreign direct investment in 2006; it ensures the 60% of the flow of such capital flowed into the region. But the country has certainly taken a complacent attitude, and more efforts are done to promote a favorable regulatory environment and challenging for companies. Federal Commercial Law, which requires the presence of a local partner with 51% for companies located outside of free zones is revised; the Ministry of Economy is to complete the draft of the law on competition, which should further help in the fight against cartels; finally, the Government is working on introducing a foreign investment law that will further increase competition in the private sector and, therefore, will reduce inflation. They have already introduced a number of measures to contain inflation: recently passed a law to protect consumers, and at the level of individual emirates have been undertaken several initiatives to set the ceilings of rents, in order to meet the increase in rents . Finally, since 1994, the UAE is member of the General Agreement on Tariffs and Trade (GATT) since 1996 and are one of the members of the World Trade Organisation (WTO). The UAE is also a member of the Great Arab Free Trade Area (GAFTA) in which all the states of the Gulf Cooperation Council (GCC), and are currently negotiating free trade agreements with the EU, the U.S. and Australia, as well as having embarked on negotiations, either individually or within the GCC, with respect to several regional trade agreements. One of the common mistakes is to think that send a container of the products in the United Arab Emirates it is enough to easily find a distributor or get an agent to represent their company. Not only many times you need to change radically the product but adaptation must involve the entire company that needs to get the processes and service levels that meet UAE standards. Many business owners assume they already know how to move in the United Arab Emirates because they had some contact in the area, no doubt you may have received misinformation or incomplete, albeit in good faith. Very popular is the illusion to believe that the United Arab Emirates is an easy market because they speak only one language, the rules are simple and the Emiratess are “easy people”. It is completely wrong: the UAE market is “super-crowded” with competitors coming from all over the world; therefore it is expensive, competitive and sometimes has some forms of protection; it is very risky to invest in the United Arab Emirates, without a thorough market research and a solid business plan. – Believe that own competitiveness can be based only on the technical level / quality of the product. Many business owners think it is enough to have an excellent product to sell easily in the EMIRATES: it is wrong; to have a product / service above the average is the minimum requirement to enter in the EMIRATES. market, but not enough; having a great product is only the first step in a long journey that characterizes the development of a commercial development in the EMIRATES. ; many efforts are required in the creation of sales networks or in the definition of commercial partnerships, which require time and money; also the more the product is exclusively the more investment is needed in your brand. It should also be pointed out that the EMIRATES. market is a “PR market” and so it is important not to underestimate the importance of trade shows, seminars, etc., and all your marketing / promotion actions that support the sale of any product / service. One of the most common mistakes is to think to operate in the United Arab Emirates, as in your country, for example between Italian, German or French. Many times entrepreneurs underestimate the cultural differences between the two countries; it is neededto to be very careful to written rules and especially those that are not written in the culture of Emirates business. The set up of a legal entity with limited liability in the EMIRATES. is a very quick operation that can be done without moving from own country and ay very low cost: the set up of a legal entity, typically a Corp or an LLC, costs a few thousands of dollars (assuming very simple agreements among shareholder) and does not require a minimum share capital; the legal entity may reside at a lawyer, a CPA or an office of their choice. The management of a legal entity in the EMIRATES. requires very low fixed costs and variable depending on the actual volume of activity; Such management can be carried out without direct employees on EMIRATES. territory, and all activities can be monitored from headquarters in Europe. The establishment of a legal entity shall include the possibility of having a EMIRATES. checking account , it allows to operate as a local company as well as having a much easier administration with Emirates customers. Many times it happens that companies invest thousands of euro in tradeshows and visits to customers reaping great expressions of esteem for their products; unfortunately this commercial development is totally nullified by the fact that after a few days there is no one in the area that will continue to feed it; It is in fact a big mistake to underestimate the need for “closeness” to the client that provides timely responses and frequency of contact, and relying totally on distributors, agents or representatives. It is needed to pay close attention to the certifications required for products, to the contracts to distributors and buyers; EMIRATES. lawyers cost a lot, but many times it is useful to guard that run into unpleasant situations. In the United Arab Emirates the rules are clear and simple to follow and it is assumed that you follow. Shortcuts and “cunning” may seem successful the first few times, but in the medium and long run it always pays the bill with interest. To operate in a stable and continuous way in the UAE, many times you need to rent an office and / or a wharehouse, buy a car for employees, etc. Unfortunately the new branches does not have a “history of debts paid” for which the credit institutions have not yet been able to verify the creditworthiness. This means that, even for the most solid companies in the EU, are not allowed to get from banks leasing to buying a car or credit cards for everyday purchases. Even suppliers, initially hardly agree to grant extensions on payments to 30/60 days. Only after passing this initial screening, Emirates buyers take into account the non-UAE suppliers. For Emiratess, there is no buying activity if after-sales activity is not assured so it is essential the presence of warehouse, products in stock, spare parts and specialized personnel on EMIRATES. territory that can intervene a few hours; it is equally wrong to think that you have to deal with after-sales assistance only when sales begins. 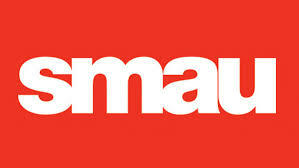 Very often companies that sell equipments or machinery in the EMIRATES. must send their engineers for installation or final testing at customers premises; most of times management has not thought about the fact that it is necessary that their staff need a specific visa to enter and work in the EMIRATES. and send their employees with a simple tourist visa; frequently it happens that these technicians are rejected at the security checkpoint and sent back to Italy, with a stamp in the passport “CANCELLED WITHOUT PREJUDICE”; in this case, both the employee and company enter into a “black list” and problems will magnify for both. Besides The territory of the United Arab Emirates has a width three times higher than the European: this entails long times, high cost of travel and logistics; also the Atlantic ocean is a geographic barrier that complicates any transport operation. All this impacts significantly on the level of service, very sensitive to the Emirates: if any city in Europe can be reached in a day trip from any other European state, this is almost never possible if you want to achieve a state UAE leaving from Europe. This market research is carried out by consulting database coming form internal sources or external suppliers, or conducting interviews with key professionals in the field of investigation, overseeing the industry tradeshows. 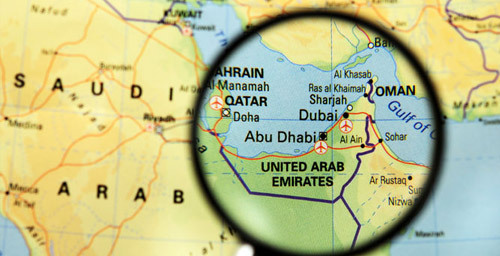 Research in the United Arab Emirates for concessions granted to attract investment from abroad; such incentives may be: public funding or subsidized grants, tax credits, simplifications in issuing work visas, etc; such incentives vary according to the state, the county of destination, which business sector, (eg energy, ITC, pharmaceuticals), and the number of jobs to be generated in the EMIRATES. Companies that invest in the United Arab Emirates in an activity which is not only commercial but also productive have more opportunities. Research in UAE private funding from venture capital firms. Gen EMIRATES is able to process all documentation and requests to obtain public or private funding, both in Italy and in the United Arab Emirates. It is absolutely necessary to be compliant with work visas because UAE laws are very strict and cannot be avoided. 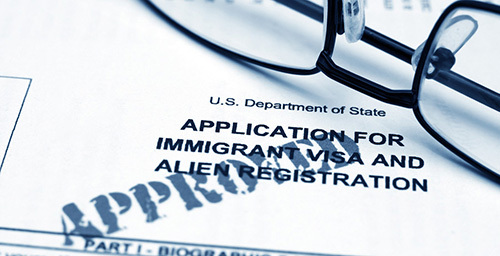 Most times, it is required that documentation be submitted and processed by skilled operators; the timing for approval may be brief, but it relies heavily on the expertise of those who submit the application and if the accompanying documents are complete; you therefore need to carefully plan for the problem of visas. legal and tax assistance regarding the location of the legal entity and the shareholders’ agreement. Analysis of statistic and quality reports available from associations and consulting firm specific (if available); these reports will remain available to the customer. Controlling work in progress: there are at least two intermediate check points to present the results of the activity; these checkpoints will be an opportunity to check the progress of the project and understand if it is consistent with the expectations of the customer. is an Emirates citizen born in the UAE, in order to have immediate empathy with all trading partners and understand the culture. Has a profile mid-senior, able to conduct market analysis and trade negotiations. The remuneration of sales managers consists of a fixed and a variable amount depending on the targets; it must be kept in mind that the variable component of the salary does not constitute the majority of the compensation package, but rather it is an incentive. This service involves the participation of Gen EMIRATES to the results of turn over and / or net profit of a UAE subsidiary of a European company that intends to market and / or manufacture their products in the EMIRATES. By offering this service, Gen EMIRATES selects very carefully the candidate companies and products / services to market, through surveys and market tests directly in the territory for a limited period, but enough to draw meaningful conclusions; the market test is paid for by the customer. If the above tests are positive, Gen EMIRATES can assess their participation in a joint venture with the customer, which provides the resources for the start-up and business development in the UAE. Sharing the results of the joint venture will depend on the contribution to the total investment and operating costs which Gen EMIRATES and the client cover individually to develop the market in the UAE. Gen EMIRATES customers transversely belong to almost all industries, although we can boast a solid experience in industrial mechanics, automotive, manufacturing, and of course in those areas where the “Made in Italy” label (fashion, food, cosmetics, furniture / design) excels. 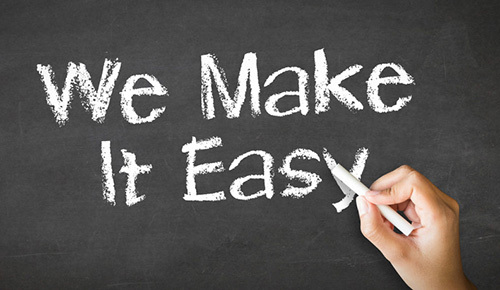 It is not possible to define in advance a standard fee for our services; our proposals are always customized, depending on the expectations and the activities required by each customer; there is no predetermined price list available. The calculation of our fee is the result of careful analysis of the use of the precise resources required to honor the promises made in the contract. It applies to services that we know with certainty what will be required regarding the use of our resources; in this case the cost of the service is well-defined and agreed upon before the task. Examples of services typically contracted for on a “project basis” are: feasibility studies, and setting up of a legal entity. This applies to services where it is not possible know in advance what will be the use of our resources regarding variable costs not otherwise definable at the beginning; in this case the cost of the service is defined on the basis of an hourly rate or daily rate that is applied according to the use of our resources; at the end of each month, an invoice is issued indicating the time spent on the project and all other details week by week; billing is monthly. Sometimes the amount is limited by contract with a maximum budget of monthly spending, after which permission must be requested. This applies to services that we know with certainty in advance what resources will be required over a period of time; in this case the cost of the service is well-defined, agreed before the start of the business and is paid on a monthly basis. Examples of services typically billed “on a monthly basis” are administration and logistics management. There are no fees “on a commission basis” or “on a success fee basis” as Gen EMIRATES does not provide direct sales activities on behalf of its clients. certification, labeling and adapting of production processes for the export of foodstuffs; these services allow food companies to receive specific instructions in order to adapt perfectly to the EMIRATES. Requirements for the export of all food products from Italy; without being totally compliant, all food products shipped from Italy are likely to be rejected or destroyed. Business due diligence & corporate intelligence: the aim of this service is the analysis (screening) of the reliability, economic robustness / equity and reputation of third parties (individuals and companies) with which the client is considering embarking on a partnership or temporary collaboration. Knowing your business partners is the first step towards a successful strategy, particularly when it comes to companies and people both geographically and culturally “far away”. Funding for the internationalization of their company through a process of crowd funding: Equity Crowdfunding is an alternative to bank credit and a popular way for raising capital to finance interesting development projects; now also unlisted Italian SME’s can raise public funds by selling shares in the company, by “applying” on authorized internet platforms.